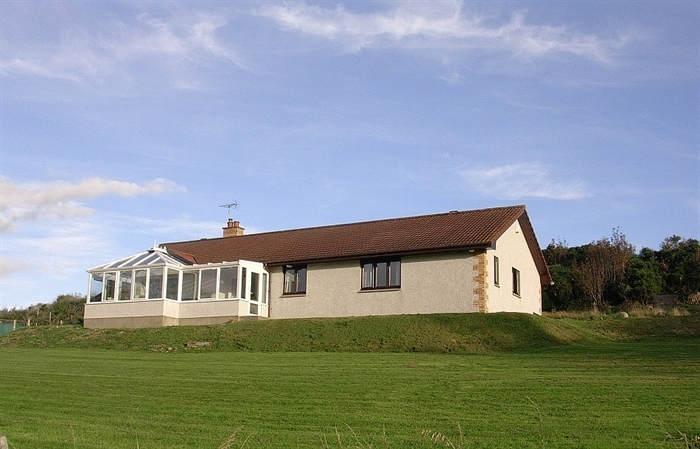 Cartomie is a modern bungalow with en-suite rooms in a rural setting close to the scenic Dornoch firth and has wonderful views of Struie Hill. We are close to the village of Edderton with it's Pictish Standing stone, historic Old Church which has a preaching ark and another Pictish stone in the churchyard. These stones are part of the Pictish Trail, which covers this part of the coast. 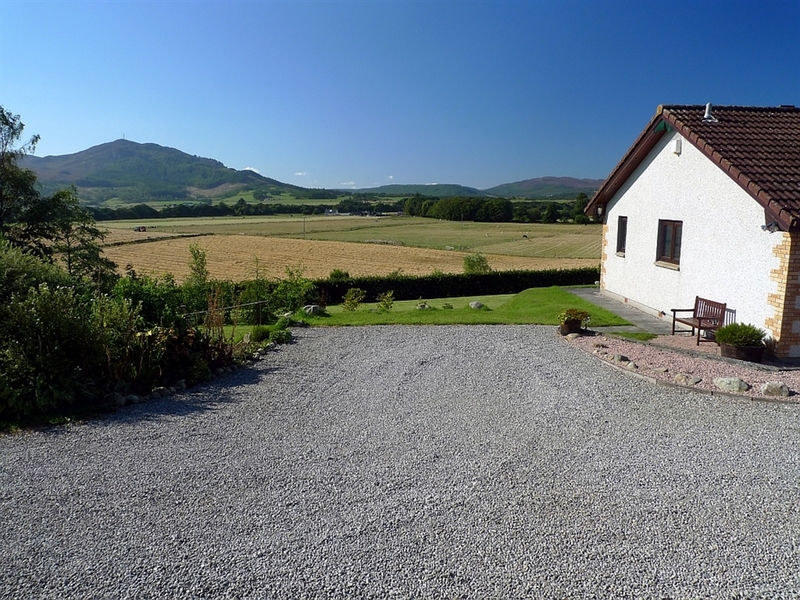 Nearby are Dornoch, with it's famous golf course and Cathedral, and the historic Royal Burgh of Tain. The lovely beaches of Dornoch and Embo are just a short drive away. We are well positioned for visiting the coastal villages such as Portmahomack, Golspie and Brora. The National Nature Reserve of Loch Fleet, which is popular for its birds and seals, is also nearby. We are just off the North Coast 500 route and in a good position for visiting the north and west coasts, which are approximately 2 hours away, as are the Orkney ferries. Inverness is 1 hours drive to the south. We are a non-smoking household with two en-suite rooms. One double with en-suite shower and one king-size double/twin with en-suite bath/shower. Both rooms are equipped with hairdryer, television and tea and coffee making facilities. 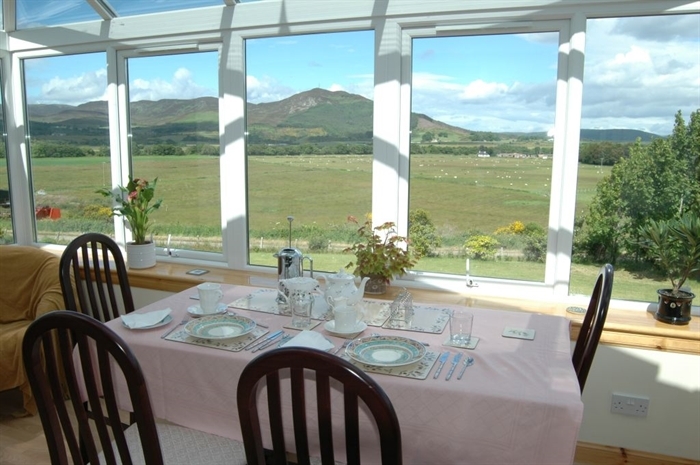 You can enjoy breakfast in the conservatory with lovely views of Struie Hill.